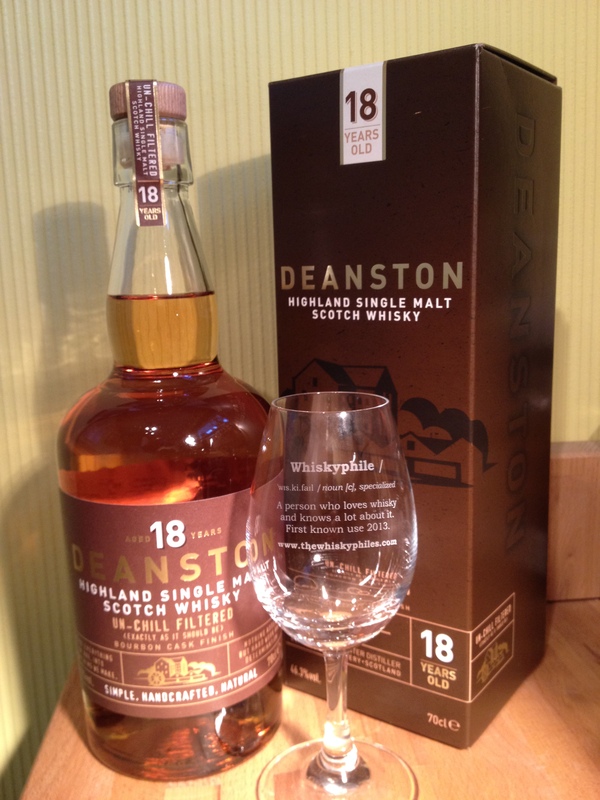 Deanston 18YO is first aged in hogshead casks before being finished in first fill Kentucky Bourbon barrels at Deanston Distillery. The flavour profile is said to be sweet, with honeyed fruit and a “deep, rich finish” of American oak, hints of tobacco and nutmeg. 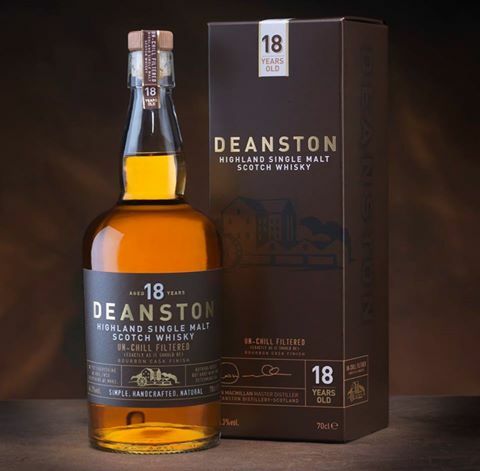 “Like every malt we produce at Deanston, we’re proud to say that the 18 Year Old is deeply rooted in the history and tradition of the distillery,” said Ian MacMillan, master blender. “Its distinct and robust flavour combinations make it a very accessible dram, one which can be enjoyed both old and new lovers of Deanston Whisky. As a big fan of Deanston, both the distillery itself and the whisky they produce, I was pretty excited when they announced the release of this 18 Years Old expression as an addition to their core range. I had this bottle on retainer at my local preferred whisky supplier but managed to snag a dram of this at the Edinburgh Whisky Stramash a few weeks ago too. My initial response to this whisky was joy that the Deanston signature was there but enhanced with a little extra ageing and finishing in ex-Bourbon barrels, without over-sweetening the whisky. Needless to say I went ahead with my bottle purchase as it was intended for sharing with friends anyway, plus I would consider stocking this expression as my go to Deanston in my whisky cupboard. A wonderfully rich expression with plenty of body and character. That classic Deanston toffee with 1/2 pound of clotted cream fudge thrown in for good measure, served on an antique oak wood board and presented unchillfiltered to retain maximum character. Reblogged this on Whisk(e)y Tuesdays.